Sinn Féin Councillor Maurice Quinlivan is standing as a general election candidate for Limerick City. 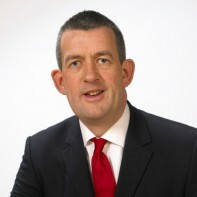 Quinlivan shot to national prominence in 2010 when he settled a libel action which he had taken against Willie O'Dea TD, an issue over which the then-Minister for Defence resigned. The former travel agent was first elected to Limerick City Council in June 2009. He is the joint National Treasurer of Sinn Fein. An avid football fan, Quinlivan is the Chairperson of Limerick's Northside Legacy FC and an Arsenal supporter.